Did you hear the one about the United Nations ignoring Islington North? TONY Blair’s former speechwriter Philip Collins has been doing his bit to dampen the Jeremy Corbyn parade. He was jousting with Diane Abbott on Newsnight earlier this week and his columns of late warn of the dangers of choosing the Islington North MP for the Labour leadership. 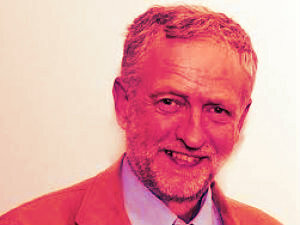 And Corbyn’s ratty, rattled response to Krishnan Guru-Murthy on Channel 4 News a few weeks ago, gave him the chance to tell us in The Times about how witty he had been when he himself had been a member of the Islington branch; revealing too the globe-sized dreams of local members. “Mr Corbyn lost his temper when asked why he called Hamas and Hezbollah his ‘friends’. Mr Corbyn is a mostly genial man but I can attest that when confronted he has a temper,” Mr Collins reports. Equipped with first hand experience of Corbyn’s apparent red rages, was there a chance for Mr Collins to warn Mr Guru-Murthy before the tetchy exchange in the Channel 4 studio? They are after all brother-in-laws, through Mr Collins’ marriage to Geeta Guru-Murthy, the Channel 4 newsman’s sister. Corbyn has since said relations with his interviewer are all patched up and he was just a bit “irritated” with the way the question about Hamas was asked.